It is true what they say- holidays are just more fun with little ones around! 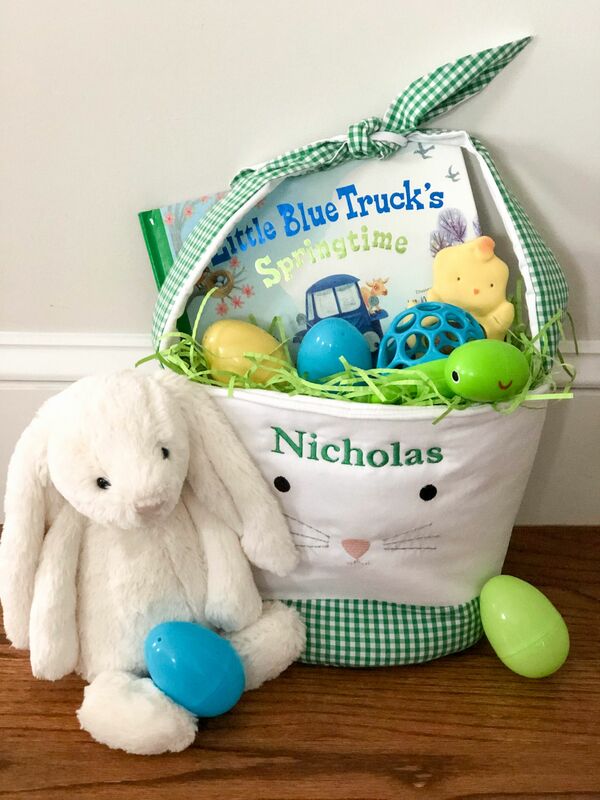 Even though Nicholas has absolutely no idea what Easter is or what an Easter basket is, I couldn’t resist getting this personalized gingham bunny basket from Pottery Barn Kids. And then I had to fill it! Here’s a sneak peek of some of the items I’m filling his basket with this year- all Amazon Prime eligible! Jellycat Stuffed Bunny– I grew up with a bunny and maybe Nicholas will too! Wind & Swim Turtle Bath Toy– Nicholas loves splashing around in his bath and I feel like this little toy will be a big hit! Carrot Teether– I found a chick one for Nicholas’ basket at TJ Maxx, but there is a cute carrot one on Amazon that is perfect for the holiday!